The Vehicles Research & Development Establishment (VRDE) grew out of the Inspectorate of Mechanical Transport, which was established in 1929 at Chaklala (in present-day Pakistan) and subsequently moved to Ahmednagar. VRDE was made responsible for all wheeled vehicles, and in 1985, it was also given responsibility for light-tracked vehicles. While the VRDE laboratory is not one of the main laboratories involved in chemical weapons-related research and defense activities, it has worked with the DRDE laboratory in Gwalior to develop the nuclear, biological, and chemical (NBC) decontamination system that includes a Personal Decontamination Kit (PDK), a Portable Decontamination Apparatus (PDA), Decontamination Solution (DS-2), and a Mobile Decontamination System. "Vehicles Research & Development Establishment," Defence Research & Development Organisation, www.drdo.org. 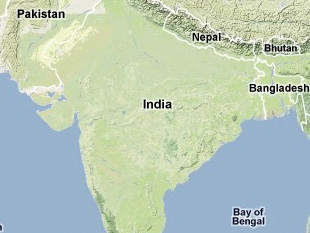 "NBC Decontamination System Developed," Indian Ministry of Defence, Press Information Bureau, 19 June 2002, http://pib.nic.in.